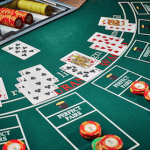 This page will guide you through Portugal’s rules and regulations surrounding online casino and gambling, so as a Portuguese resident or visitor, you feel comfortable knowing what forms of interactive gambling you can legally partake in, while residing in the country. Portugal’s liberal online gambling regulations have been in effect for some time now, with all forms of real money Internet gaming legalised and regulated – demonstrating that with government oversight, a regulated gambling industry can be very beneficial. Aside from online sports bookmaker betting and online lotteries (which are controlled by the Santa Casa da Misericordia de Lisboa Games Department, of which the state benefits from directly), all other forms of online gambling services and products, including online casino gaming, are run by privately owned operators that typically work in tandem with the Portuguese government. The collaboration of the Portuguese government with privately owned Web based gambling operators ensures that these companies are providing reliable and fair gambling services and products to the residents of Portugal. The government itself even runs some of its own online casino services. Prior to 2013, the country’s government also played an active role in blocking foreign online based gambling companies from offering their gambling services to the people of Portugal. However, in 2013, it was decided that the country could benefit from offshore Internet gaming businesses, considering taxation, and so legislation was introduced to regulate foreign Internet gaming companies keen to provide their services and products to Portuguese citizens. This new legislation aimed at offshore gaming operators has been put in place in order to create a more stable and secure gambling industry for the country, so public interests are protected, and to prevent fraudulent activities, money laundering and crime associated with the online gambling industry. It is unsure as to how many foreign online gambling operators will apply for licences through the new legislation, due to the large tax rates now involved (online casino and poker operators to be taxed at between 15 per cent and 30 per cent, depending on annual income). As it stands, the following online and mobile friendly blackjack casino sites welcome Portuguese players and accept the Euro, offering several safe and globally trusted deposit and withdrawal methods for players to utilise (all financial transactions are protected by the latest secure socket layer digital encryption technology). Each site has been licensed and approved by the appropriate gaming governing bodies within jurisdictions such as the United Kingdom, Malta, Curacao, Alderney and others. Each site also has all its games and services tested and approved by independent gaming watchdogs such as eCOGRA (eCommerce Online Gaming Regulation and Assurance) – a company that focuses on responsible operator conduct, player protection and fair gaming. Players can opt to remove their personal data from the online casino operator’s database at any time they wish to do so. All personal information is protected and never shared with any third party companies. 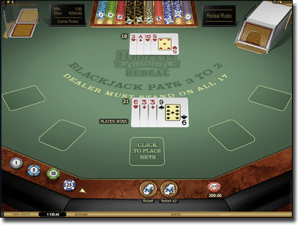 Play blackjack and pontoon games across mobile, tablet, desktop, laptop and even Smart TV platforms, via instant play Web browser mode – the available gameplay format at each of the recommended blackjack casino websites (real money games played directly via your Internet browser, powered by graphically advanced, visually and audio rich software). 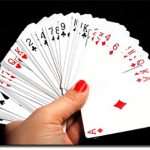 What type of online blackjack games can we play? Check out the assortment of brilliant random number generated (RNG) blackjack titles produced by esteemed and reputable gaming software designers such as Microgaming, Net Entertainment, BetSoft, Play’n Go and others, with all their gaming software tested and approved by industry testing agencies like eCOGRA, TestLabs and others. Also check out the live dealer gaming lobby, where authentic blackjack and other casino tables games (roulette, poker, lottery and baccarat titles) are run by professionally trained croupiers in regulated gaming studio environments, overseen by adjudicators and technicians, with the live play streamed in high definition (HD) to your screens, allowing you to partake in the action and place real money bets on the interactive games from any compatible device, anywhere, anytime. 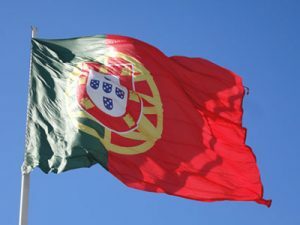 The future of online casino gaming and other forms of Internet gambling in Portugal looks bright, with recent legislation hoping to increase tax revenue and boost safety regulations within the industry, keeping the country’s best interests at heart. Locally run online casinos within the country will continue to be a market on the rise, while offshore gaming operators will be more closely monitored to ensure such businesses meet Portugal’s gaming criteria and standards. Portugal residents can sign up for a free account at www.Guts.com and browse through the range of high quality and low house edge blackjack titles, all playable in real money mode and practice play mode.